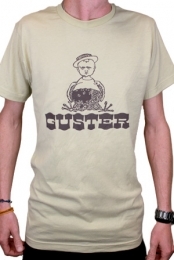 The Iconic Candle Design from Sawyer's Hide Your Ghost Animated Music Video, by Artist Andrew Benincasa; http://www.andrewbenincasa.com The Benincasa Candle Design, laser embossed on American Leather. The Bracelet is 1 1/2 inches wide, hand dyed in warm rich brown tones, hand tooled with gunmetal hardware. 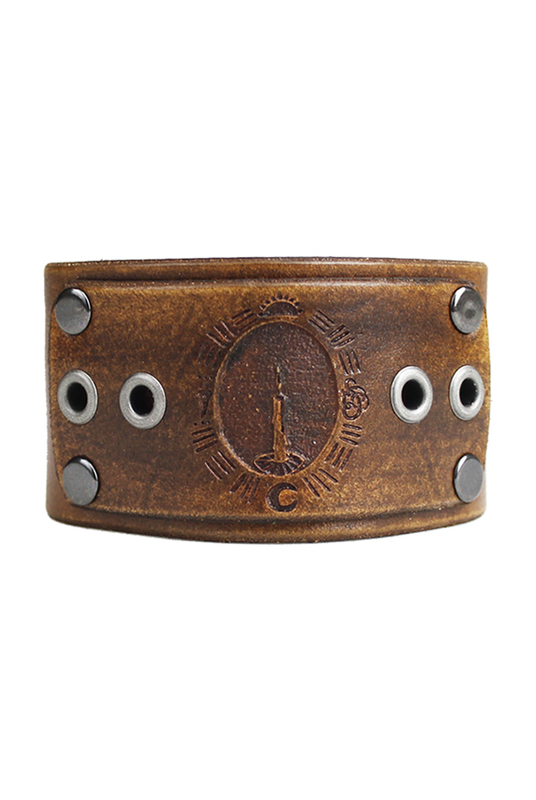 Made in Georgia by Forj'd Leather; https://www.forjdleather.com The Benincasa Candle Design is centered on the bracelet on a 2 3/4 inch long layer of leather attached to the Bracelet with 4 gunmetal rivets. The Bracelet also features 2 gunmetal eyelets flanking the Benincasa Candle Design. Unisex. Available in 2 Sizes. M/L - 8 1/2 inch length with 2 position double snap closure at 7 3/4 inches and 8 1/4 inches.